We’re all fairly used to seeing television ratings pop up at the top of our screens at the beginning of each show. So much so, it’s very likely that we don’t even really notice them anymore. (Okay, maybe parents do, for the sake of their kids.) 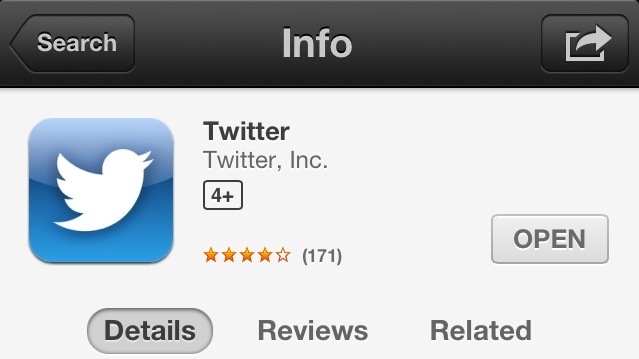 So it’s kind of surprising that the same types of ratings haven’t been so prominent in the mobile app world. Apple has implemented age ratings in its App Store, very prominently displayed immediately to the right of the app’s icon. This change of attitude on Apple’s part, may be due to the discovery of adult content being posted by users to the micro-video sharing app, Vine. All of the app’s content can be easily viewed by users of any age, since there are no built-in parental controls available. Upon this discovery, complaints went through the roof, resulting in the app adding a 17+ warning upon downloading. Of course, this is nothing that will actually stop kids from being able to download the apps. That responsibility lies in the hands of parents. But at least Apple is doing something to help makes parents aware of apps that shouldn’t be in the hands of little ones. Apple hasn’t said how the age ratings were determined. Did its app-screening team decide on the appropriate age? Did the company reach out to its developers to get the numbers? We’re not sure, though given Apple’s history of analyzing apps with a fine-toothed comb, it’s safe to say, at the end of the day, they likely had the final word. What do you think? Will the age ratings on apps make any difference, or is it more something that will help protect Apple should another Vine incident happen down the road?